Sophie is a monster expert. Thanks to her Big Book of Monsters and her vivid imagination, Sophie can identify the monsters in her school and neighborhood. Clearly, the bullies are trolls and goblins. Her nice neighbor must be a good witch, and Sophie’s new best friend is obviously a fairy. But what about Sophie? She’s convinced she is definitely a monster because of the “monster mark” on her face. At least that’s what she calls it. The doctors call it a blood tumor. Sophie tries to hide it but it covers almost half her face. And if she’s a monster on the outside, then she must be a monster on the inside, too. Being the new kid at school is hard. Being called a monster is even harder. Sophie knows that it’s only a matter of time before the other kids, the doctors, and even her mom figure it out. And then her mom will probably leave—just like her dad did. Because who would want to live with a real monster? The description of A Monster Like Me is kind of awkward. We're told that Sophie can identify monsters. Some are "bullies and trolls and goblins" but does the mention of "fairies" within that framework tell us that she thinks they, too, are monsters? I'm going to go along with the use of the word, but doing so is unsettling when the monsters are Native characters. 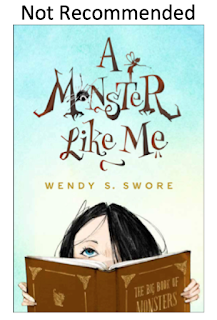 Equally unsettling is that A Monster Like Me got a starred review from Booklist. Sophie has a hemangioma on her face. The author, Wendy S. Swore, had one on her forehead, which is why some of the promotional materials say the story is inspired by real events in the author's life. The story is set in Portland, Oregon. Most people know that there are many Native nations in the place currently known as Oregon. A picture of a beautiful Native American girl in a white dress stares back at me from the soggy flier with the headline Princess of Multnomah Falls. Gently I turn it over, but the print is dirty and hard to read. "What did you find?" Mom peeks over my shoulder. "Oh, the legend of the falls. I always liked that one." "The paper says something about a princess?" Autumn points to the faded image. "I didn't even know there was a king here." "No king," laughs Mom. "She was the Multnomah chieftain's daughter." With a gasp, Autumn claps her hands. "A princess and a chief? How romantic!" Her mom goes on to tell her that people were dying of a "great sickness." The "chief" called his council and "best warriors" together to find a cure (p. 127). "Then, an old medicine man told them the only way to save the tribe was to sacrifice a young woman by throwing her off the mountain to appease the Great Spirit." "safe in the land of the spirits. That's when water started flowing over the top of the cliff." Someone walks up beside me and thin white gauze brushes my face. I brush it away and scoot over so the lady's dress doesn't blow into me again. Then I freeze as I take in her wispy white dress and long black hair. Her face looks different than it does in the picture, but the ghost of a Native American princess can probably look however she wants to look. "Did you see her?" I whisper in her ear. "The princess!" I point down the trail and gasp. "The path is empty." is the last sentence in that chapter. So--one question is this one: Is that "Princess of Multnomah Falls" a story that Native people told/tell? Or is it a White Man's Indian? I use that phrase from time to time, borrowing it from Berkhofer's book (that's the cover on the right side of this paragraph). It is an "account of the self-serving stereotypes Europeans and white Americans have concocted about the “Indian” [...] and manipulated to its [western civilizations] benefit." I've spent the afternoon looking through my sources but can't find anything (other than a sketchy website) that says it is a Native story. A "medicine man" telling his people they have to sacrifice a young girl to appease a wrathful "Great spirit"---that doesn't ring true to me as a Native story. On June 7th, 1918 the state of Oregon dedicated the Vista House built between 1916 and 1918, at the crest of Crown Point overlooking the Columbia River. The opening of the house, really a scenic vista wayside and pioneer memorial, commemorated and called attention to the opening of the Columbia River Highway. The House was to be the memorial to the spirit and grit of the pioneers who first came down the Columbia to the Oregon Territory. Dr. Lewis has several historical photos on his site along with the research he's done. The Oregonian (newspaper) published a narrative of the dedication ceremony. The ceremony and narrative, too, were created by "the Rosarians." Lewis writes that the Rosarians were a romantic cultural organization with a king and a queen. In their ceremony, they meet a "redskin" called "Chief Multnomah" who realizes that "his days of rule are over." So, he lays down his bow and arrow and leaves, disappearing near the base of the falls (go read the whole thing). I include Dr. Lewis's account here because the Rosarians wrote about the Native man as being "a ruler" much like kings and queens of Europe. Characterizing him as a "ruler" (king) creates the space for a daughter who would be a "princess" like the one that Swore wrote into her story. Sophie's mom rebuts the "king" part of the "legend" but doesn't tell Autumn that her use of "princess" is wrong, too. Sophie and Autumn's thinking of a Native American "princess" remains intact--and so does the reader who holds that wrong idea of Native princesses! In the rest of that legend, we're expected to believe in a wrathful "Great Spirit." That doesn't work for me. It sounds far more like a white writer--maybe a Christian one--creating a legend. Indeed, in the twitter thread I started on March 1, an individual pointed me to "The Legend of Multnomah Falls" written in 1905 by Susan Williamson Smith. You can see the digitized copy online. It lines up with my thinking that this whole princess story is a White Man's Indian. Moving to the woman Sophie meets at the rail... the spirit, we're told, of that princess. I took care to include the way Swore has her pointing: with her chin. I did that because she seems to have a bit of info about Native gestures. Many Native people do that and I've seen some White writers use it. To them it might seem to lend authenticity to their writing but within the larger picture of what they've written, it is a #fail. This princess is wearing a crystal that the wearer (and Sophie) think has magical power. That crystal is a significant problem. It fits right in with the New Age writings. It is important to the arc of Swore's story and how Sophie deals with the hemangioma, but tying it to this "princess" is a major problem. "...it was a normal thunderbird who got tired of throwing lightning bolts and decided to sit up there and rest, but then got stuck and couldn't leave." "No tricks, Chulyen." I've got enough trouble without a Native American trickster god running amok. I don't like the flip and dismissive tone Sophie has about the totem pole and I don't like the tone she has towards what she's imagining as a trickster, either. I can't put my finger on why it is bothering me. I do wonder why she thinks this god is named Chulyen, and, I definitely don't like the generic "Native American" attribute Sophie/Swore is using there. Looking around a bit, I see "Chulyen" in a "Fantastic Fest" that took place in 2015. It was, I gather, a short film and it seems to fit within this "monster" framework that Swore developed for this story. There are--in fact--Alaskan Dena'ina stories about Chulyen (a raven) but they're not like Swore's Chulyen. ...there's only a man in a worn cowboy hat with feathers tucked into the band on both sides. ...a thick beaded string with a clasp hangs around his neck like a tie, and a leather pouch dangles dead center on his chest. He winks at her when he sees her looking. Chulyen caws overhead and lands in a tree behind the old man who seems to understand what the bird is saying. Chulyen follows Sophie, her mom, and Autumn through the zoo. They get to the Birds of Prey outdoor show and settle down on the grass to watch. Sophie pulls her crystal out of her pocket and is holding it in her hand. Suddenly, Chulyen swoops in and takes it. He sits on a nearby pole. Sophie goes to the pole and tells him to give it back. She's startled when she hears "He doesn't give things back." It is the old Native American man with the feathered cowboy hat. First, he tosses popcorn to entice Chulyen but that doesn't work. Then, he tells her to look away. "As long as you're watching, he'll hang onto his prize only because you want it." She watches the bird show for awhile. The man tosses more popcorn around. Then, the crow is at her feet to get some of the popcorn. Her crystal falls by her feet. She grabs it, tears try to leak from her eyes. "That necklace is special to you, eh?" he asks. She nods and he says his is special, too. His is that leather pouch. She asks if it is magic. He nods and tells her it is his medicine bag. She asks how he knows what to put in it. "Many things have power, but some things call to you so strong, they make powerful medicine for you." "They say your name?" How weird would that be if a rock started calling for me? Hey Sophie! Over here! But then, the crystal kind of called to me, didn't it? "Not in words." The man taps his heart. "They'll call to you in here. It could be anything. A pinecone. A bead. A carving. A stone. Each person's medicine is different." "It heals my heart, my spirit." Sophie's mom calls to her; she rejoins her and Autumn. She looks back to the man and sees he is walking away, with Chulyen on his shoulder. They seem to be talking. Just before he turns the corner, he casts a shadow on the wall of a building and I see the shadow of an elk. No. Not an elk, a caribou. I'd spoken face to face with the Caribou Man. She wonders what to tell Autumn about Caribou Man. He's a leader for all animals. When he speaks, they listen. That the tribes feared and revered him so much, they were careful to treat all their hunts with great respect so he didn't get angry. So... Caribou man isn't a real person. He's a figure in the book of monsters that Sophie carries around. He, like the princess, appears in this story, to help Sophie. The way that Swore depicts this man, works, for a white audience. He's got some wisdom and some teachings that whiteness fawns over. As Caribou man, he has power and if you don't treat him right, well, it won't go well. There... again, is the depiction of wrath. As with the "Great Spirit" at the falls, I think this is more White Man's Indian. Swore's book is introducing stereotypes to readers who aren't aware that they're stereotypes. For those who open her book with stereotypical ways of thinking about Native people, her words affirm their "knowledge." That, ultimately, is harmful to what they grow up "knowing" about Native people. It is also, of course, harmful to Native readers who know this is all nonsense. If they've picked up the book on their own accord, they can set it down but if a teacher assigns the book, they're in a difficult position. Some will be unsettled by the nonsense. The impact can be unsettling in the moment, but later, too, when they're supposed to be doing other schoolwork. Published in 2019, I do not recommend Wendy S. Swore's A Monster Like Me. "All the cliffs and falls of the Columbia Gorge are rich in Indian legendry and enchantment," wrote an Oregon pioneer, "and each has its pretty, tragic story. There are several about Multnomah Falls/"
So, the person who collected these "Indian Legends" is saying straight out that this one is by 3 white women. Clark's book has been around since my childhood, and it wasn't brand-new then. It is still sold all over the place in the Pacific Northwest, so it doesn't surprise me that a story Clark included figures in a story about a child living in Portland. What does surprise me is that Clark doesn't pretend that this is a Native story. Some day I will stop wondering why white writers think that spiritual/supernatural beings part of non-white cultures that faced oppression and genocide at the hands of white folks, are so willing to help the white hero. Some day I will stop sighing at white writers using "monster" as a catch-all for supernatural beings because there is something very disgusting about referring to, say, a lung (Chinese/Vietnamese dragon) a monster. Would they call Christian angels monsters? Because that is somewhat near the level of disgusting I'm thinking about here. The thing is, all of the above is neutral to most white audiences and extremely repugnant to most non-white audiences. Thank you so much for addressing this book. I feel much more at ease with the decision to not purchase the book despite the Booklist starred review. Again, thank you. Thanks so much for the recommendation of The White Man's Indian. I will check that out. 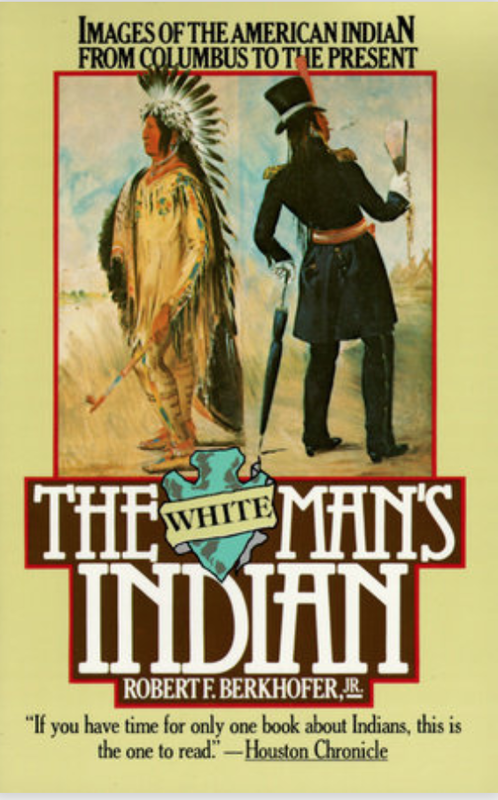 When I teach the late 19th/early 20th-century white-authored children's lit that has Native-related content, I teach it alongside a chapter from Kate Flint's The Transatlantic Indian, so my students read about what the English thought they "knew" about American Indians, how they "knew" it, and how that "knowledge" assisted in justifying the genocide perpetrated on American Indians. 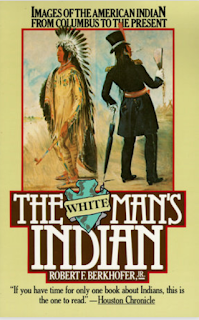 Maybe I should add a chapter from The White Man's Indian.